Sorry Phil; a bit late reply; if you want luxury and have lots of money - it should be La Mamounia. If you're on a budget, Novotel Suites is terrific, great rooms, super location. If you are a multi millionaire - the Amanjena is SO peaceful (I stayed there ages ago when I was a pop star - about £4000 a night - and I was eating there in the restaurant when David Beckham took it over for his birthday). 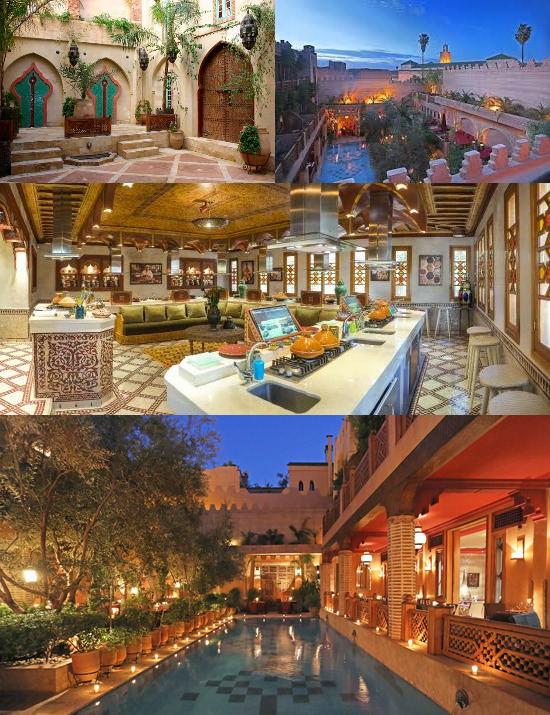 This is my lovely Italian friend Prince Fabrizio Ruspoli's hotel -La Maison Arabe-and he's had it for 30 years. It's simply beautiful because it's luxury but exactly what a villa should be in Morocco. I'd never ever stay in a Novotel but La Mamounia is still very special. I love La Maison Arabe because it's discreet, stylish yet quite grand. Prince Fabrizio is the most charming host and why I love the place is that he actually abhors the way Marrakesh and Morocco is going..such as seeing billboards for Louis Vuitton or Cartier and "duty free shops(bearing in mind of course Fabrizio is pals with the actual people who have these names as brands and he once took me to drinks at Yves St Laurent's wonderful villa followed by dinner down a dark winding alley in the Souk where behind a battered door we entered the most wondrous villa and the hostess was Madame De Gaul. It was 1949 but she was a nice old girl. Tell him Hedda sent you. But he'll probably double the price as I don't think I paid my last bar bill.